Many people use the term ‘OCD’ as a way to describe people who are fussy, neat, or enjoy having everything organized or ‘just so’. However, Obsessive Compulsive Disorder is an actual disorder that can have huge negative impacts on those who suffer from it. Those with OCD are not just orderly and neat. They have an excessive need for these things that can manifest itself as excessive cleaning, hand-washing, an aversion to germs, urges to touch things in a certain way or number of times, excessive worry about things they have no control over, and in a multitude of other ways. Those with true cases of OCD cannot control these urges and it can often lead to job loss, problems in relationships, and extreme anxiety and depression. Speak to a licensed doctor to get OCD treatment in San Francisco. Schedule your OCD treatment in San Francisco here. Those with OCD in San Francisco are often misdiagnosed as having anxiety, personality disorders, certain types of phobias, or Body Dysmorphic Disorder. Others with milder cases are often told they are just excessively neat or worry too much and are never encouraged to get professional help. If you or someone you love has the symptoms of OCD, it’s crucial you get an official diagnosis. Choose the OCD clinic that specializes in this disorder and make an appointment with one of their physicians. 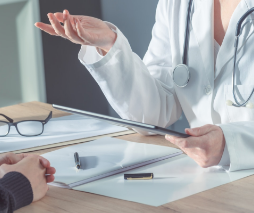 During your appointment, the physician may perform a physical exam to help rule out other problems that could be causing your symptoms and to check for related complications. The physician will then likely order lab tests including a screening for drugs and alcohol, a complete blood count, and a check of your thyroid function. Finally, the physician at EzCare medical Clinic will conduct a psychological evaluation to find out more about your thoughts, behavior patterns, and emotions and may also ask to speak to family or friends about how your symptoms affect them and anything else they have observed that could help with a diagnosis. Many physicians will use criteria from the DSM-5 to determine a diagnosis of OCD. Most physicians will use either psychotherapy or medication (or a combination of the two) to treat patients diagnosed with OCD. Psychotherapy most often utilizes Cognitive Behavioral Therapy, which can be used to desensitize people with fears or phobias and learn healthier thought patterns and coping mechanisms. Therapy sessions may be individual, offered in groups, or in a family setting. OCD medications can also provide relief for many patients, especially when used in addition to counseling or CBT. Antidepressants such as Anafranil, Prozac, Pexeva, and Zoloft are often used. Antidepressants known as Selective Seratonin Reuptake Inhibitors (SSRIs) are usually the most effective in treating OCD as they regulate the serotonin production in a sufferer’s brain. This can help calm anxiety and reduce the reoccurring images or urges that cause those with OCD to perform ritualistic activities or worry excessively. Adderall for OCD treatment is not recommended. To get your OCD medications prescribed visit EzCare medical Clinic in San Francisco to consult with a doctor. As with any prescription medications, those used to treat OCD can have a myriad of side effects. These include lower libido, stomach upset, fatigue, dizziness, dry mouth, blurred vision, and increased risk of suicidal thoughts. Many of these side effects can be diminished by adjusting dosages or trying new or different drug combinations. Those who have Obsessive Compulsive Disorder have a true illness that can and should be treated by a medical professional. It is vital for those who experience symptoms that could indicate OCD to meet with a health care professional who is experienced in treating the disorder such as those at EZCare Clinic in San Francisco. With a proper diagnosis, those suffering from OCD can benefit from treatments that could include psychotherapy, medication, or a combination of the two. Call EzCare OCD Clinic or walk-in to our San Francisco clinic to speak to our doctor today. Our OCD clinic is open Saturdays and Sundays.